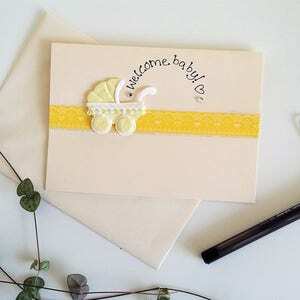 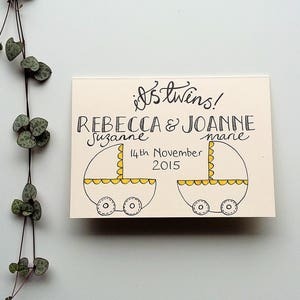 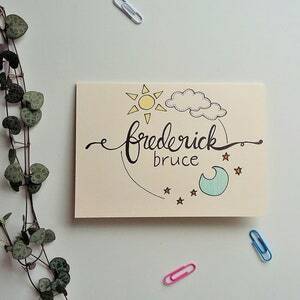 A soft fruity greeting card, perfect to celebrate the arrival of baby. 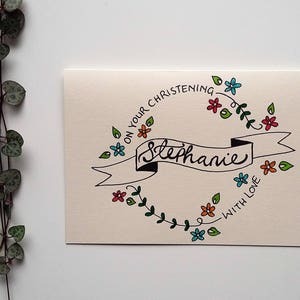 It's made extra special with the little one's name beautifully hand written across the centre of the card. 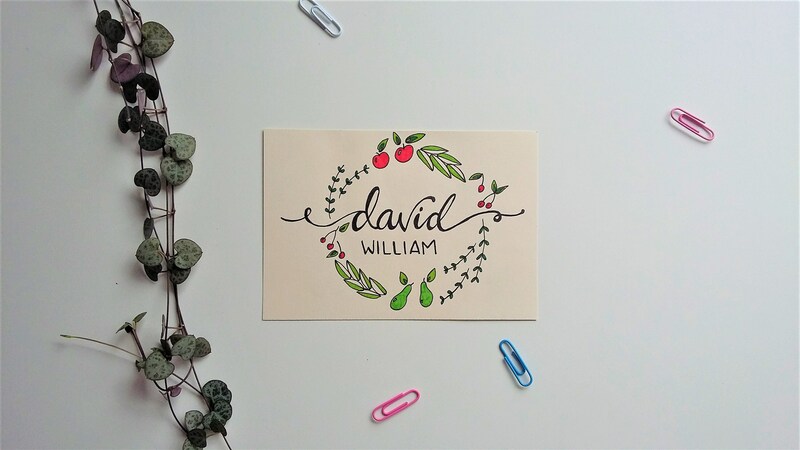 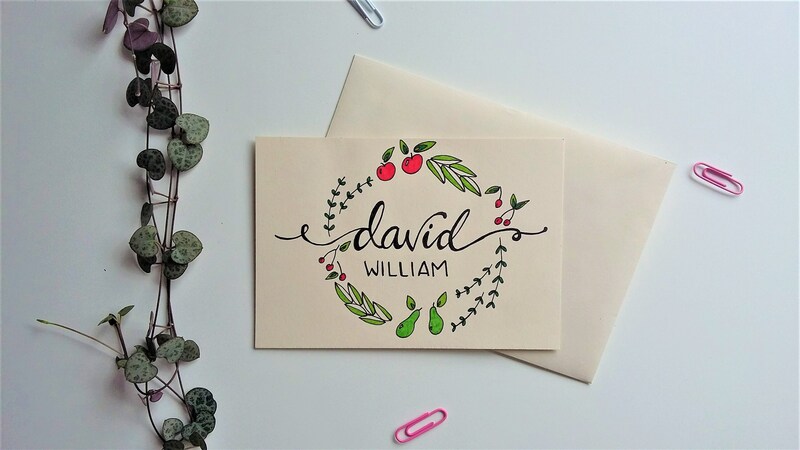 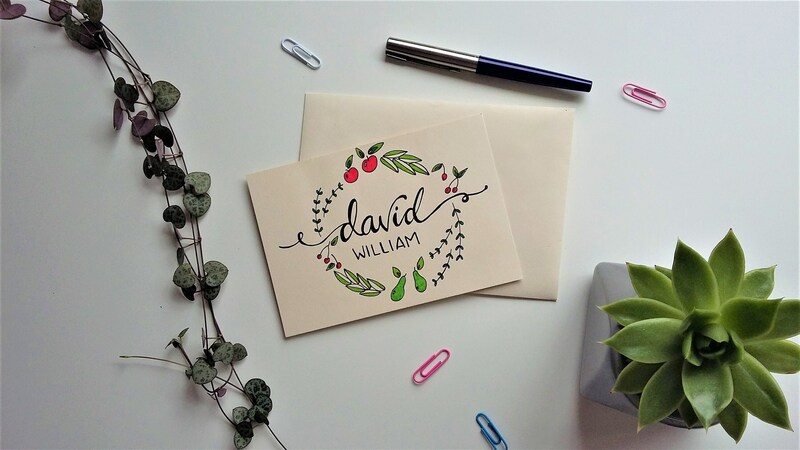 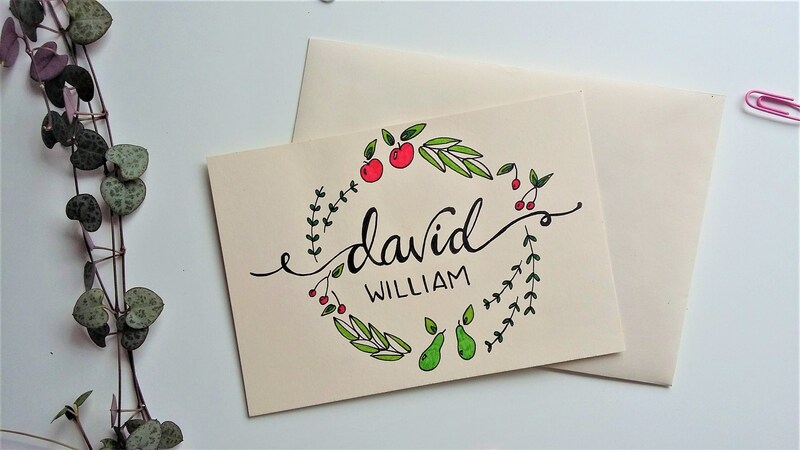 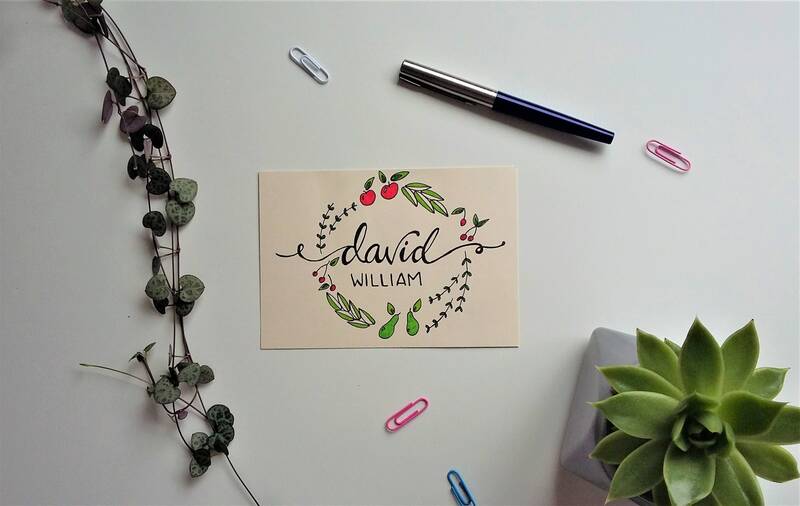 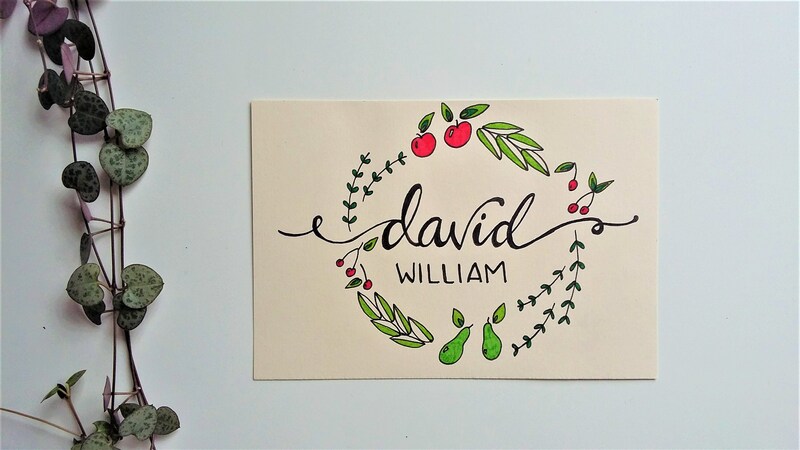 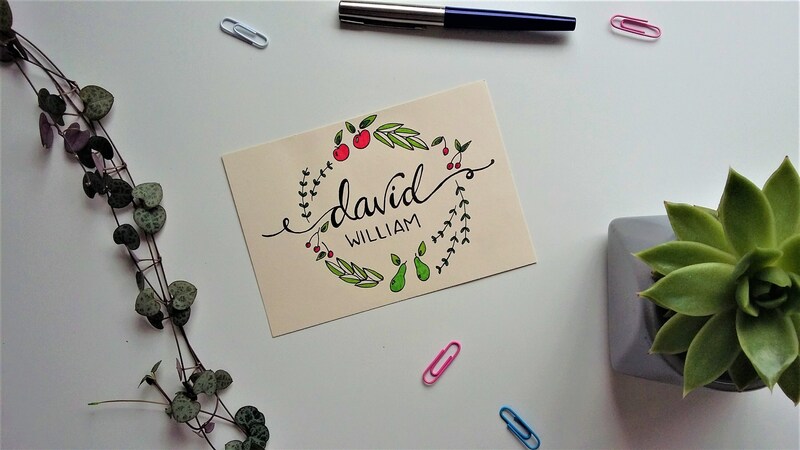 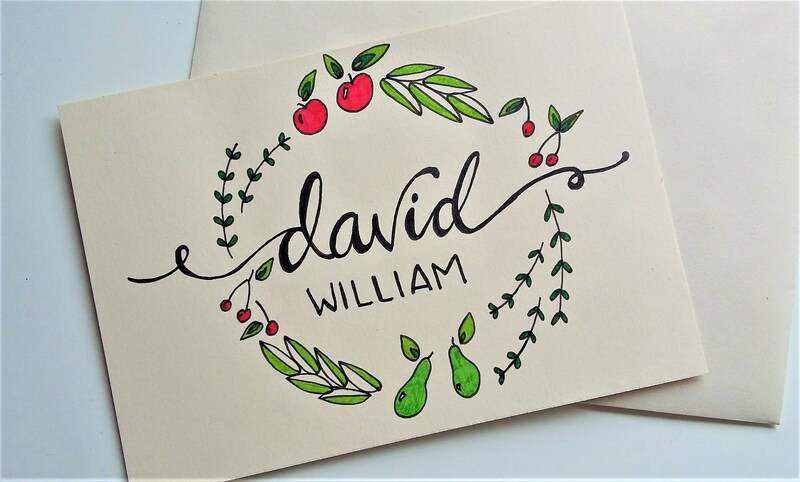 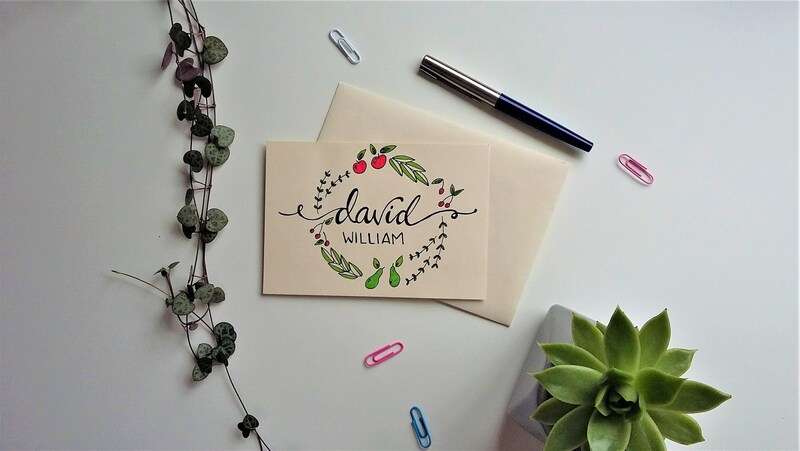 Delicate fruit and leaves frame the hand written modern calligraphy style name, with a splash of colour added to the pears, cherries and apples.